New! The hotel now has free high-speed WiFi in each room and in all the public areas. 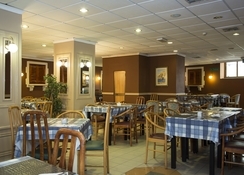 Under new Management, The San Anton is only 800 meters from the Bugibba sea front and promenade with its fine selection of shops, bars, restaurants and rocky beaches. A bus stop to Valletta, Sliema and to the Gozo Ferry Terminal, situated in the northern part of the island, is only 200 meters away. This hotel is also situated to give easy access to the resort’s attractions including the National Aquarium and an international Casino. 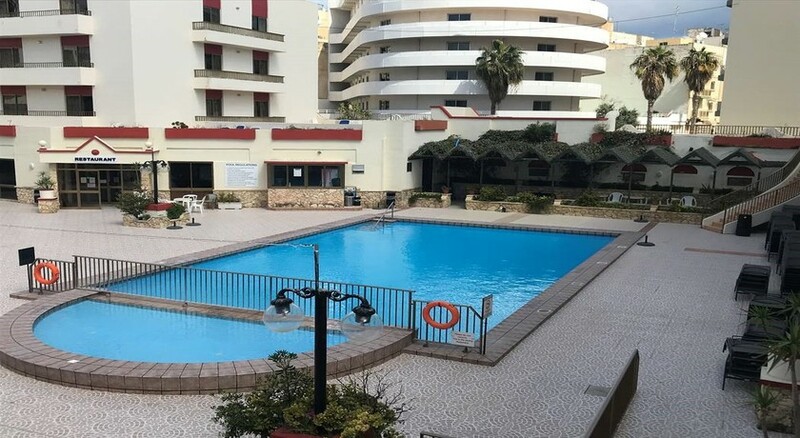 The San Anton, situated opposite the Santa Maria Hotel comprises of 6 buildings (2 Blocks of Hotel Rooms and 4 Blocks of Apartments) concentrated around a swimming pool and garden. 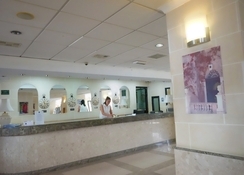 The hotel rooms, each approximately 24 square meters, are serviced by lifts and all have private balcony, direct dial telephone system, heating, ceiling fan, safety deposit box, portable air-conditioning unit per room, hair dryer, satellite television & radio and full bath with hand held shower. 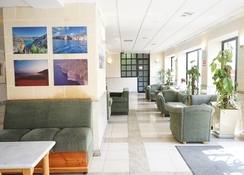 Mini fridge and tea/coffee making facilities are available from reception at a small charge. 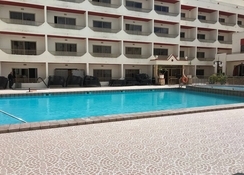 The apartments consist of Studios, one and two bedroom apartments sleeping up to 5 persons, all with balcony or private terrace. 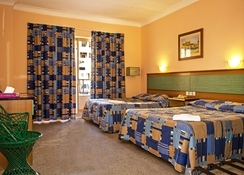 Studios are the same as 1-bedroom apartments but consist of only 1 room without a lounge area. 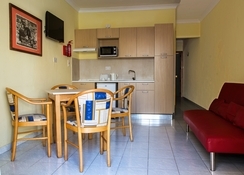 The apartments include a lounge area with two sofa beds, private bathroom with hand held shower, hair dryer, separate twin bedroom/s, kitchenette with two electric rings and oven, fridge, tea & coffee making facilities, direct dial telephone system, satellite television & radio, ceiling/portable fan, portable air-conditioning unit per apartment, heater and free safety deposit box. Please note the Jacuzzi at The San Anton Hotel is not available for use from 01.12.17 till 30.04.18. This facility will once again be available from the 01.05.18.
wouldnt stay there again..the staff were lovely but the rooms were less than basic. and the food the worst we have had abroad..food was rehashed from the day before and little choice..mostly salad..we ate out every evening although we were on half board..we arnt picky eaters but couldnt stomach the evening offering..